If you need a wasp nest removed we can help. Trying to kill wasps or remove a wasp nest on your own is a bad idea, and it can lead to you getting stung. You should leave wasp nest removal and wasp extermination to experienced professional exterminators. Our pest control team specializes in stinging insects such as wasps. We can also take care of hornets, yellow jackets, and bees for you. 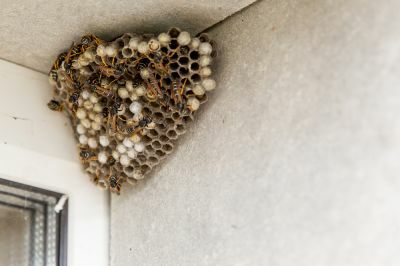 So rather than risking a dangerous wasp nest removal on your own, sit back in the comfort and safety of your home while our wasp specialists remove the nest and exterminate the remaining wasps for you. All you need to do is fill out our quick and easy contact form, tell us about your wasp or other stinging insect problems, and we will get back to you right away with a time frame and a quote. Wasp Nest Removal - Select your State.